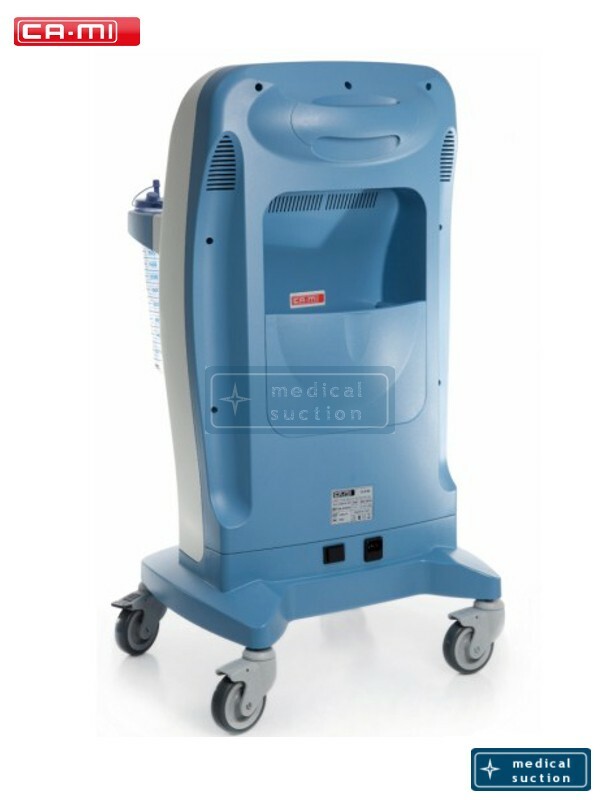 Provided with 4 antistatic wheels, two of which with braking device, and a pulling handle for easy transport. . 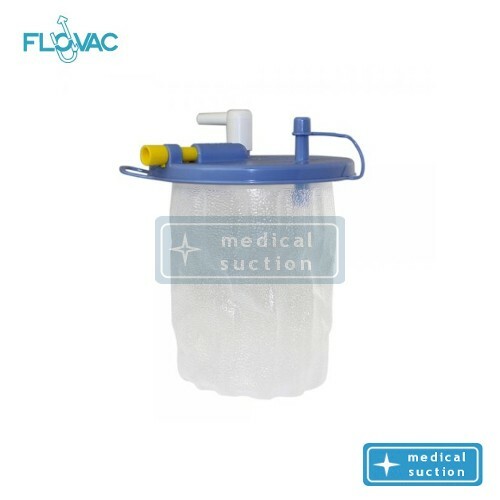 Thanks to the characteristics it has, this device is particularly suitable for use in hospital wards and operation theatres both for suctioning body liquids and for gynaecological and dermatological (liposuction) applications. 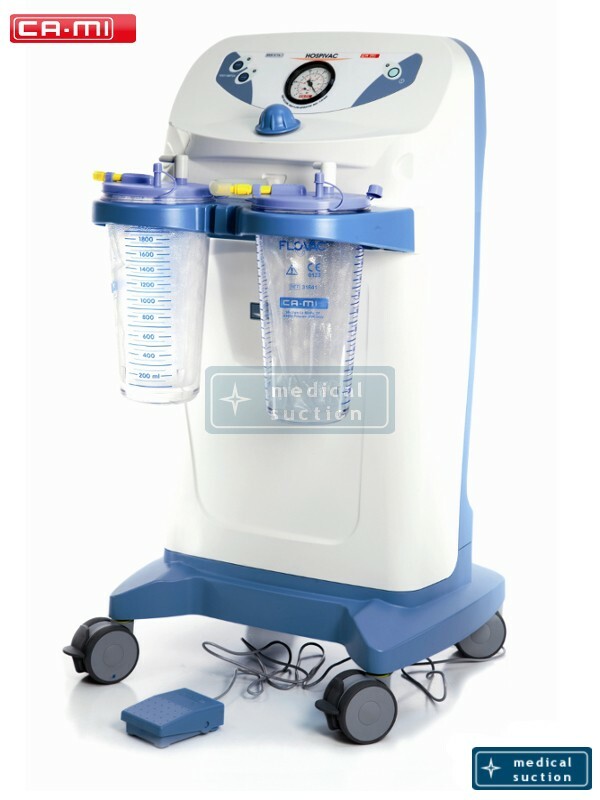 The state-of-the-art oiless pump guarantees high performances with excellent suction capacities and max vacuum reachable within a few seconds, with no need for maintenance. 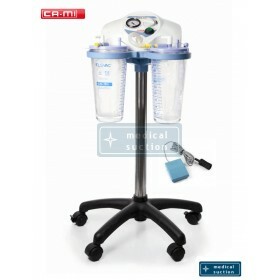 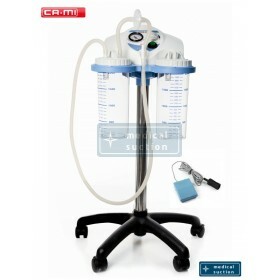 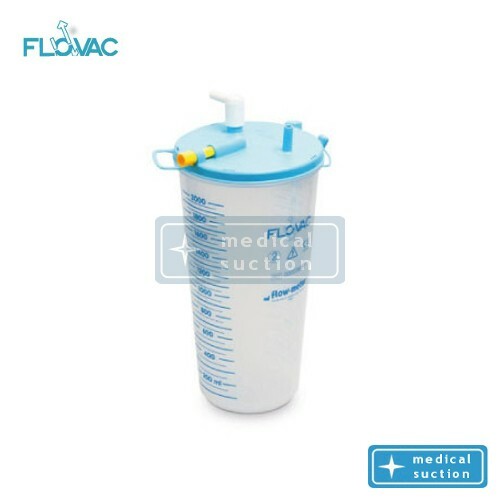 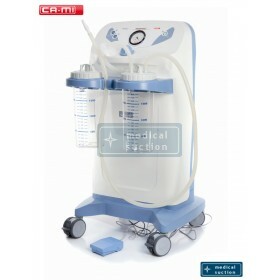 Suction Unit CAMI New Hospivac400is supplied with 2 autoclavable jars in polycarbonate.